Back at the beginning of the month, I made my annual trip to California and spent ten days traveling through the Napa and Sonoma Valleys, and also spent some time in Oakland, the South Bay and the Sonoma Coast. During this visit I managed to visit about 25 wineries and tasting rooms, and tasted roughly 125 new wines. What follows is my recap of how I spent my trip, what I learned about the current direction of the wine business in these regions, and some general tips that should help to maximize enjoyment in future visits to the area. I spent three full days visiting Napa, where the opportunities and possibilities are endless, the natural beauty is unparalleled, but where the tasting atmosphere is changing dramatically as a result of rising bottle prices. It is becoming increasingly difficult to find bottles of Cabernet Sauvignon in this region that deliver quality on the classic level for under $100 a bottle, and it is nearly impossible to find one for under $50. This is simply a function of economic reality; land costs for the top properties in the region are approaching $500,000 an acre, and these costs have to be recouped by the producers. In fact, a bottle of top level Cabernet selling for $200 or even $300 might even be considered a bargain relative to what high end Bordeaux and Burgundy currently sells for. It is easy to see how the rising costs have affected the tasting experiences in the region as well. I can remember just five years ago being able to jump into a limo, hit six or seven wineries in a day, spend a half an hour or so at each, and spend $5-10 a tasting, or at most maybe $20 for a real splurge at a high end producer like Darioush. Now, you’d be hard pressed to find a tasting at any respectable winery for less than $15 for a four or five wine flight, and many have climbed much higher, so you’re better off narrowing down your choices to fewer wineries and really extending your experience at those selections considering what you are going to be spending. What’s worse is that even with these higher tasting fees, it seems that less and less of the wineries are waving them after a bottle purchase, which used to go almost without saying. I was charged $25 for a four wine flight at Altamura even after purchasing an $85 bottle of Cabernet Sauvignon 2009 (94 Points), and was charged $20 at Plumpjack for a four wine flight after purchasing a $48 bottle of Syrah 2011 (92 Points). Darioush, which used to be a perennial stop for me, now offers five wines for a whopping $45 fee, but doesn’t even pour their standout wine, the Signature Shiraz, and requires a three bottle purchase to waive the fee. I can appreciate the fact that these producers can’t afford to be pouring out these wines for free, and one certainly doesn’t plan a visit to Napa Valley in an attempt to save a buck. But it’s an unfortunate and discouraging development that the ultimate goal of selling bottles of wine seems to have taken a back seat to the tourism aspect, or at the very least, that there seems suddenly to be such a lack off connection between the two. Of course, that isn’t to say that there still aren’t great stops in Napa that also still seem to understand that the reason they began pouring wine in the first place was to sell bottles of it and to gain exposure. I’ve now had two consecutive fantastic experiences at Robert Biale, who specializes in Zinfandel and Petite Sirah and offers one of the most underrated views in the region from the Valley floor (above). It’s a personal, exquisite and incredibly laid back outdoor experience that is now on my must-visit list every time I travel here. The six wine flight they pour for $20 is a very reasonable offering for wines of this quality, and my fee was waived with the purchase of their Black Chicken Zinfandel 2011 (91 Points, $42). Another stop that my group really enjoyed was at Laird, which I had never visited before. 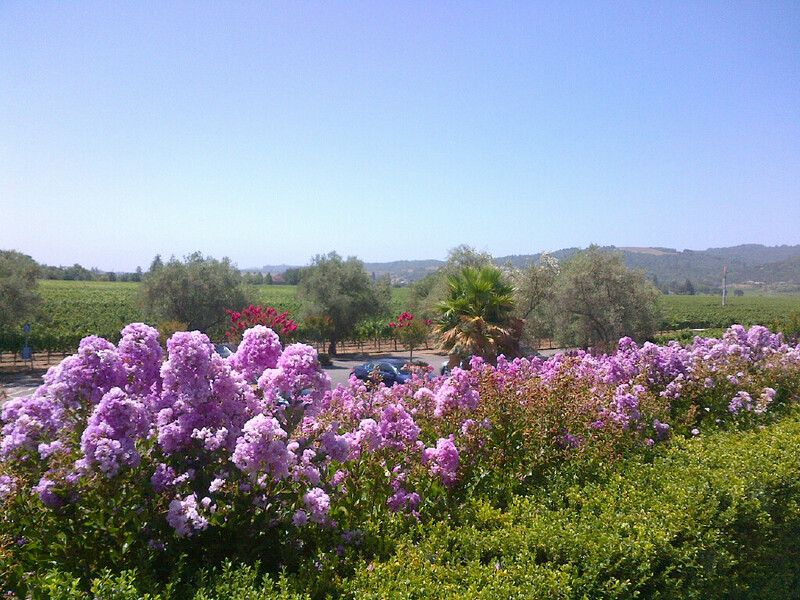 The very generous tasting can be enjoyed outdoors with seated table service and a gorgeous view of the landscape (below) for a reasonable $15 fee for six wines, which was also ignored after my purchase of the stellar Jillian’s Blend 2009 (92 Points, $42). Another element from the business side that has greatly changed the tasting experience has been the growth of wine clubs. I received spectacular service and complimentary tastings at St. Clement, Pine Ridge, Cakebread, Hall, and Ram’s Gate, the latter of which continues to be a completely astonishing architectural masterpiece and a fantastic experience with severely underrated wines (below). My favorite was the Syrah Durrell Vineyard Sonoma Coast (92 Points, $52). Even Pride, which pours a smaller flight of three wines for $10 and does not have a wine club, waived our fee after the purchase of a bottle of their Merlot 2010 (91 Points, $58), perhaps because a member of our group was a large mailing list buyer. The overriding strategy here to is zero in on a few wineries that you really connect with, commit to buying an allotment of their wine through the club, and reap the VIP-style benefits when you visit their facilities. 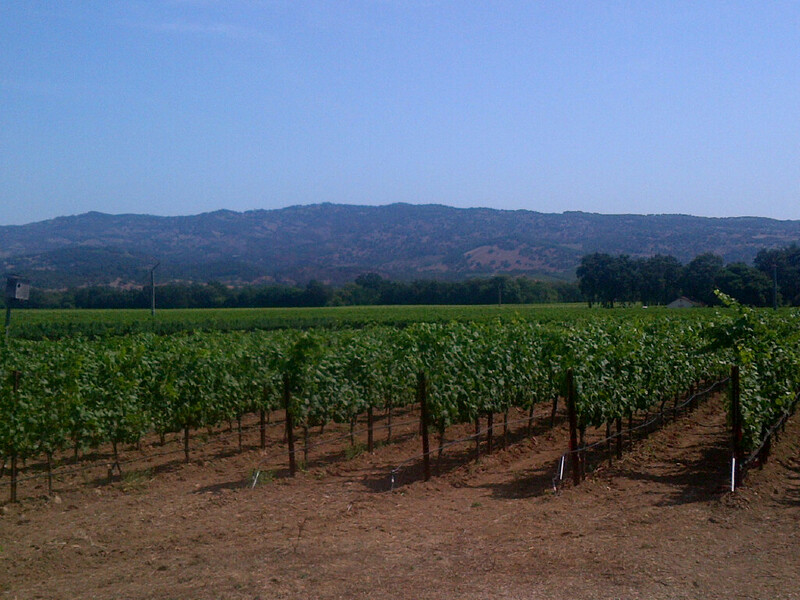 In and around the Napa Valley area, my heart still belongs to Yountville. 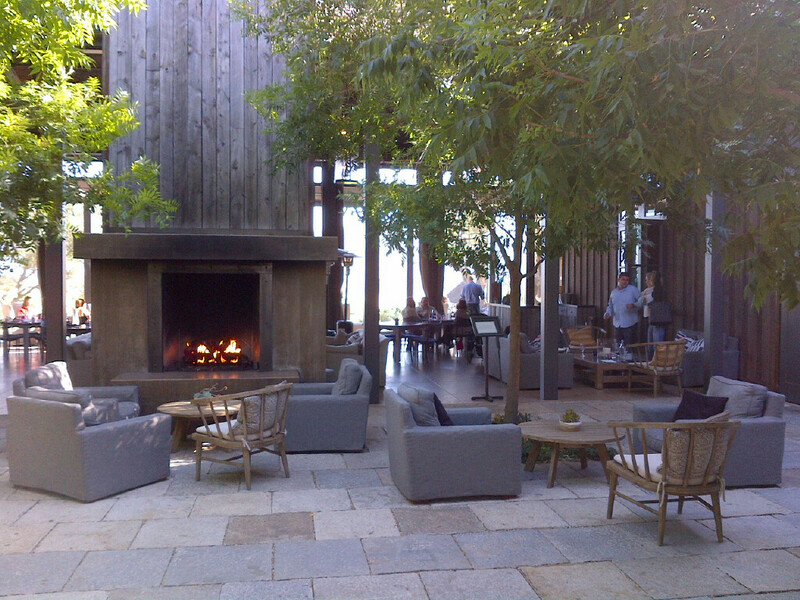 We enjoyed a seated tasting outdoors on the lovely patio at Girard tasting room at the north end of Washington Street not far from the Napa Valley Lodge, my top hotel preference in town for the best combination of price and quality. There are many nearby dining options in this bustling foodie neighborhood, including Thomas Keller’s French Laundry, Bouchon and Ad Hoc restaurants, as well as relative newcomers like Bottega and Redd. We opted for a meal at Bistro Jeanty, which is as authentic a French bistro meal as you are likely to find west of Paris. 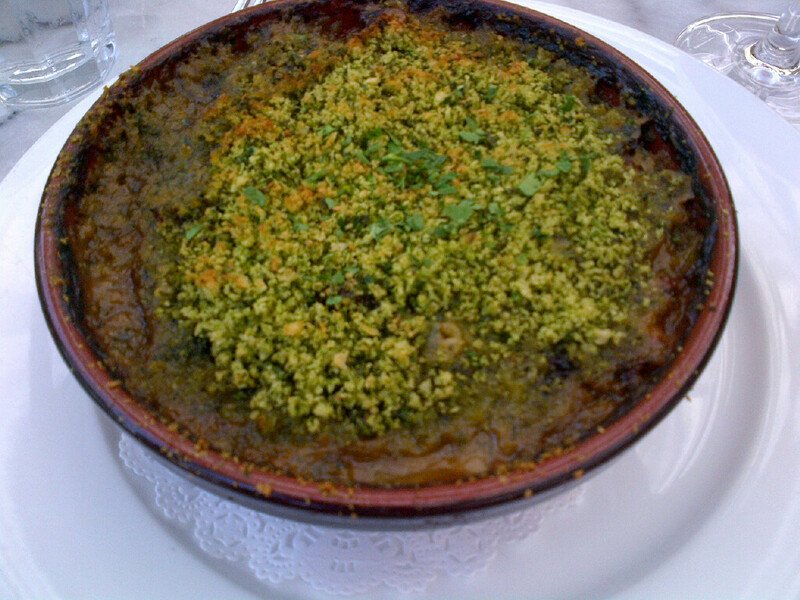 We enjoyed oysters paired with rose, and steak tartare, country pate and a duck confit and toulouse sausage cassoulet cooked with pesto bread crumbs (below) paired with an E. Guigal Cotes du Rhone 2009 (87 Points, $13). 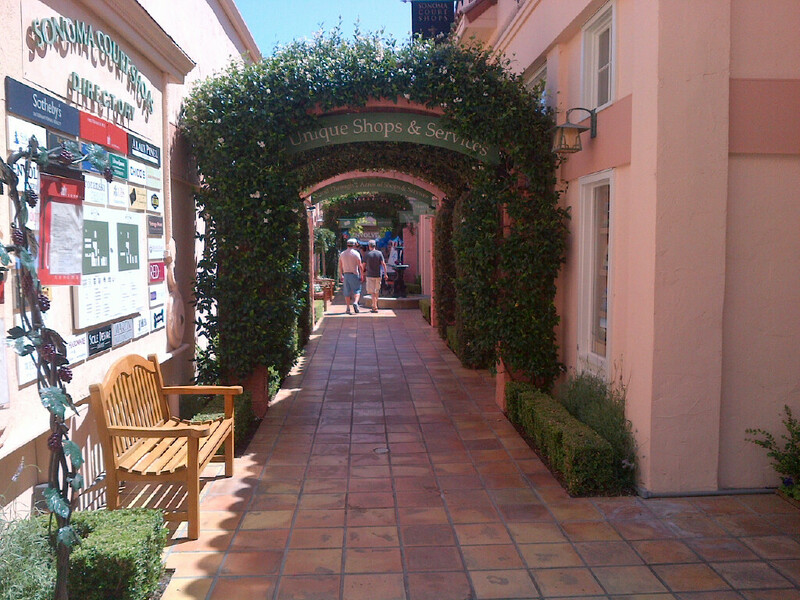 As partial as I am to Yountville, I must admit being impressed by the recent development of the downtown Napa area. Once a rural wasteland, the vicinity that borders the Napa River has come alive with restaurants, tasting rooms, and nightlife. My trip to the John Anthony tasting room was professional as always. The servers are more than happy to work with you to put together a tasting that fits your preferences, whether it be a substitution on a flight offering, a half glass of two wines, or whatever else might meet your needs. I am consistently impressed by this winemaker’s technique, as rich, darkly styled Cabernets are built in an innovatively backward manner, with expressive earth flavors up front and fruit flavors behind. For about $25, I was able to sample three half glasses, the standout of which was the Cabernet Sauvignon Napa Valley 2010 (93 Points, $65). For lunch in the area, there are several options, but I opted to spend some time browsing the Oxbow Public Market, which offers a new branch of the popular (and busy) Gott’s Roadside of St. Helena fame (but with about half the wait), as well as several other restaurants. 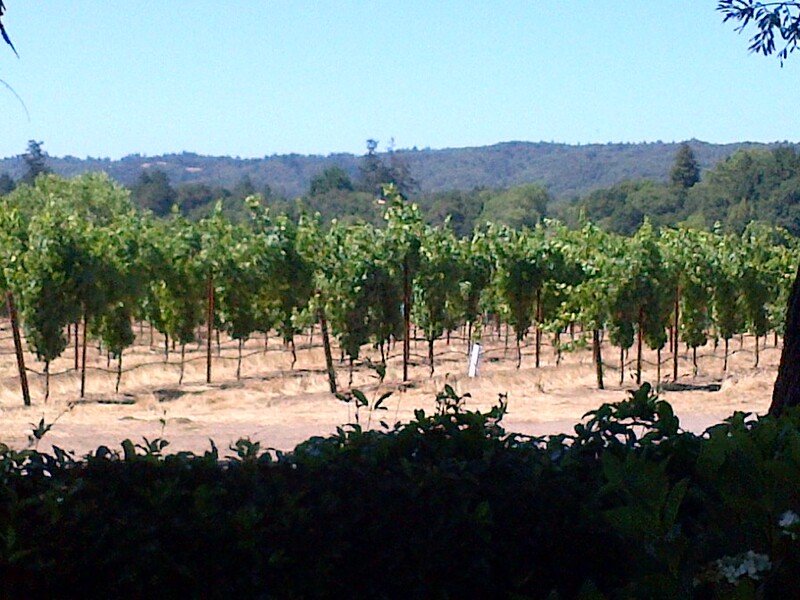 After enjoying a delicious Texas Burger at Gott’s, I headed to the Oxbow Wine Merchant, which pours a wide selection of wines by the glass or flight, and they can be enjoyed outside with a view of the Napa River (below). As scenery goes, I’ve come to the conclusion that there is nothing in California wine country that is on par with Dry Creek Valley Road. The long, winding road spreads itself out on top of miles and miles of green vineyards baking in the sun, and in my opinion is best enjoyed later in the day. This makes a drive up through Healdsburg for lunch beforehand a mandatory stop; try the Wild Game Chili with a Hop Rod Rye IPA at the Bear Republic Brewery to mix things up, or keep it simple with a burger outside at the fantastic Healdsburg Bar and Grill. Going back to my earlier recommendation of wine clubs, I’m not sure there is a better one to belong to than Seghesio. This producer continues to pump out diverse, high quality offerings at prices that seem to be impossibly low. While they have finally raised the cost of their perenially acclaimed Home Ranch Zinfandel 2011 (92 Points, $58, up from $38), the arguably more polished Cortina Zinfandel 2010 (93 Points, $38) remains a real bargain. They really know how to treat their club members here as well. My normal tasting guide Jocelyn was not there for my visit this year, but I had a lot of fun with Livy, who pretty much threw away the tasting menu and poured me everything she had open, which amounted to about ten wines. I’m not sure where else you can taste consistently high quality Zinfandel, Cabernet Sauvignon, Carignane, Petite Sirah, Aglianico, Sangiovese, Barbera, Petit Verdot, Arneis and Pinot Grigio all at the same place (below). I also dedicated an entire day to making a drive that I had never done before. After missing the opening of the Fort Ross tasting room by mere weeks last year, I was dead set on seeing what this place, perched high up above the fog line of the Sonoma Coast, was all about. We stopped for lunch at Spud Point Crab Company in Bodega Bay, which pumps out some of the best clam chowder that you’ll find in California, and made our way up Highway 1 towards the winery. The views of the large waves crashing down beneath us were pretty breathtaking, especially as we climbed higher up in elevation and into the fog. Nothing prepared me for the moment when the fog suddenly lifted and the sky opened into an endless bowl of blue above us; it was almost as though we had entered another dimension. 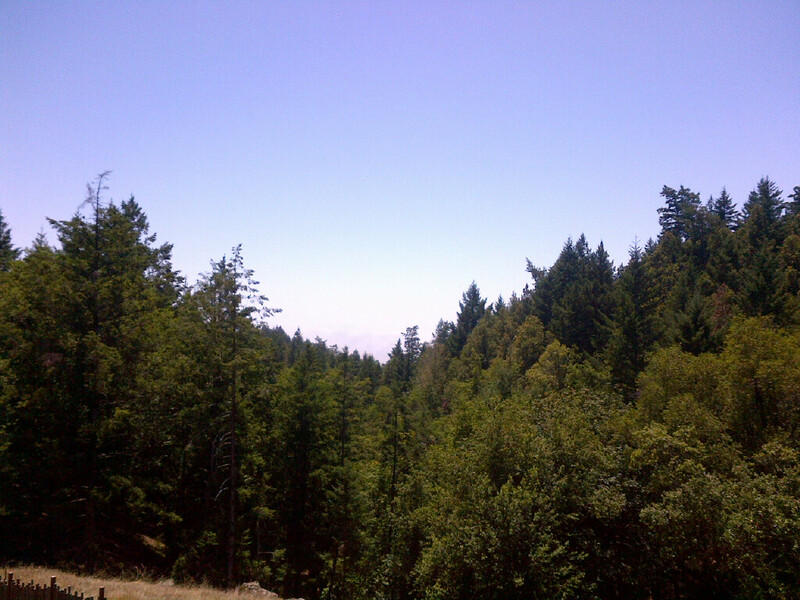 The tasting room itself offers a stunning view of the scenery well beneath it (below). 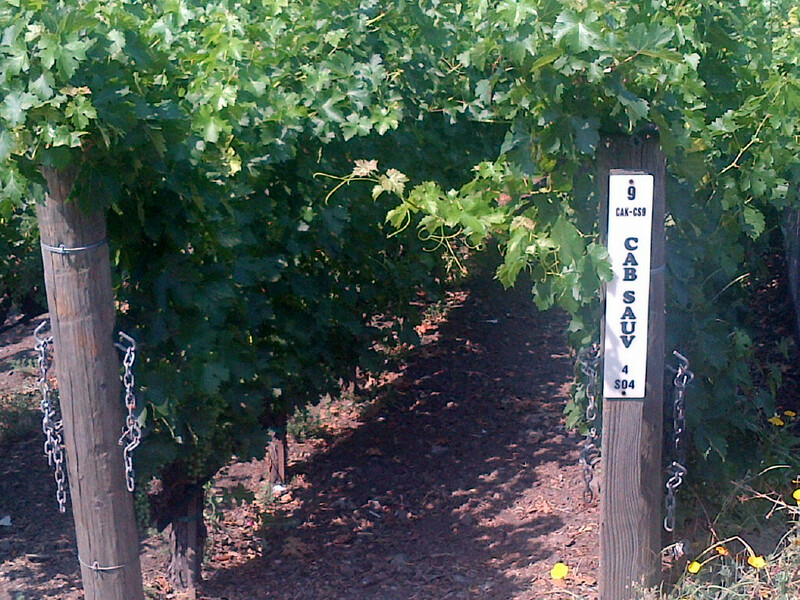 Fort Ross produces Chardonnay, Pinot Noir and Pinotage, showcasing the unique terroir of its estate grown grapes. 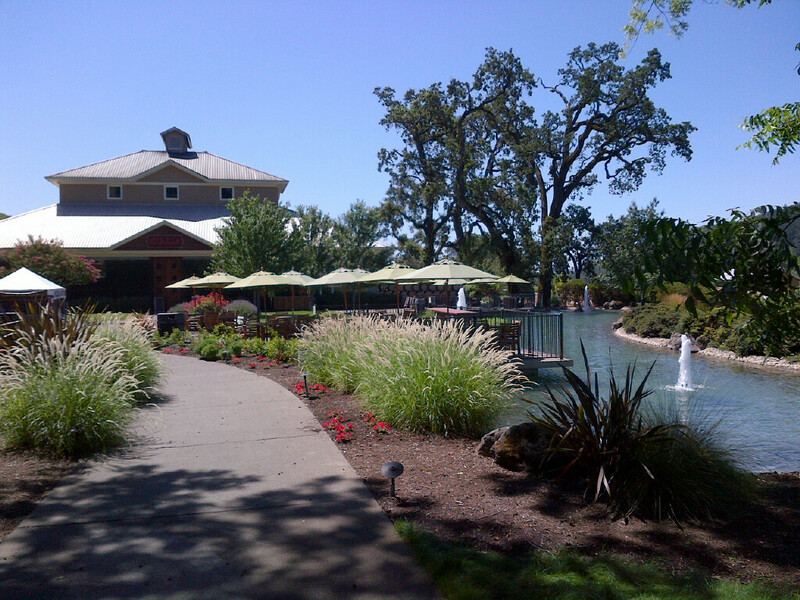 There is a large outdoor terrace and table service, and the winery offers five wines for a $15 fee. It became quite busy the day we were there, which surprised me greatly considering how incredibly far off the beaten path this place is, and as a result our service was a bit on the slow side, but we were in no hurry. The pours here were quite tiny, but they offered retastes on anything we wanted. I walked away with a bottle of their Pinot Noir Sonoma Coast 2009 (90 Points, $48). If I were to visit again, I would probably just buy a bottle and enjoy the scenery rather than bothering with the tasting. A positive trend that I noticed in many tasting rooms was an increase in flexibility. As much as I used to enjoy bellying up to the bar with my notepad and scribbling down notes on as many 1-ounce pours as I could, there often comes a time and place where I might rather simply enjoy a glass of one particular wine that I am specifically interested in. This allows you to enjoy a larger sample of the best wine that a winery has to offer, as well as providing an opportunity to sit outside and enjoy the beauty of a winery that may not offer table side tasting service. That many wineries now happily pour their wines by the glass at fair prices is a welcome option in my book. 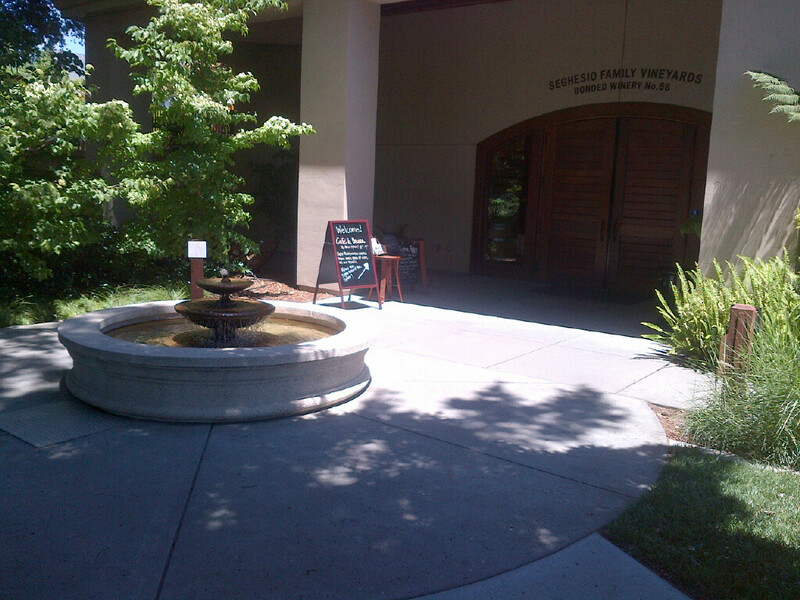 Kunde, for example, boasts a tranquil outdoor table setting complete with a pond, water fountain and fish stand (below, top). However, they don’t pour their flights outside, so the move there is to buy wine by the glass or bottle and simply enjoy the atmosphere. This was a great way to begin my final tasting day as I spent about an hour enjoying the scenery accompanied by a large glass of the Kunde Zinfandel Sonoma County 2010 (91 Points, $22) and then moved on. I used a similar strategy at Dry Creek Vineyards, focusing in on their Zinfandel Heritage Sonoma Valley 2010 (90 Points, $19) as well as at Sbragia, where a glass of the Gamble Ranch Dry Creek Valley 2009 (91 Points, $30) ended my day on a high note (below, bottom). Even Plumpjack now offers to pour a limited selection of wines by the glass, although at somewhat unbearable price points. Finally, some of the highlights of my visit came in the early going, as I was able to spend a couple of nights in Oakland and three more in Morgan Hill. In Oakland, I had the opportunity to meet Jeff Cohn of JC Cellars during my visit there, and he was kind enough to pose for a picture with me and to sign the one of the bottles I bought there (below). They share a tasting room there with Dashe Cellars not far from the historic Jack London square. Both wineries offer about a flight of about five wines for a reasonable $5 fee, refunded with purchase. I’ve been awe of the JC Cellars wines for awhile now and ended up picking up two bottles, and I felt a bit bad because I opted not to buy any from Dashe, but that had more to do with the fact that it was our first stop during a hot day and I didn’t want to have to carry around too much weight as we were walking the entire city. The young woman who helped me at Dashe was studying enology at UC Davis and was very informative and friendly, and I found a couple of their Zinfandels to be very good values. Also of note in Oakland were Trueburger, which served one of the most delicious burgers I’ve had in a while (think In-N-Out for foodies), Heinold’s First and Last Chance, a historic bar with a slanted floor selling cheap, refreshing draft beer by the bay, and Beer Revolution, a serious place for the connossieur that offers over 60 elite microbrews on draft. The latter was intimidating even for a beer snob like myself, but I could have stayed here all night. 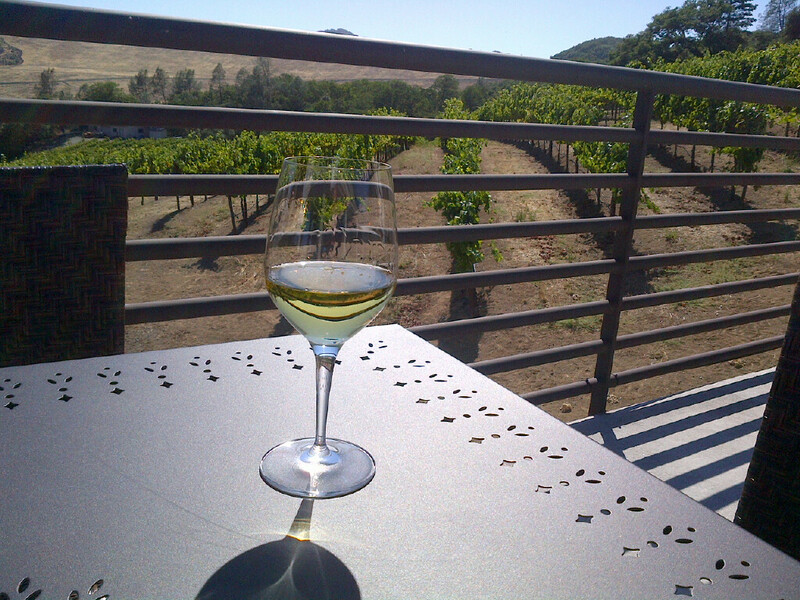 While staying with friends in Morgan Hill, we spent an afternoon at Clos LaChance winery, which is a very happening place seemingly in the middle of nowhere. After running through the full tasting of about seven wines, we bought a bottle of Zinfandel Central Coast 2010 (88 Points, $18) and Viognier Central Coast (87 Points, $22) and wasted the afternoon away playing bocce ball in the 100 degree heat. The views and the wines from this destination both exceeded my expectations. 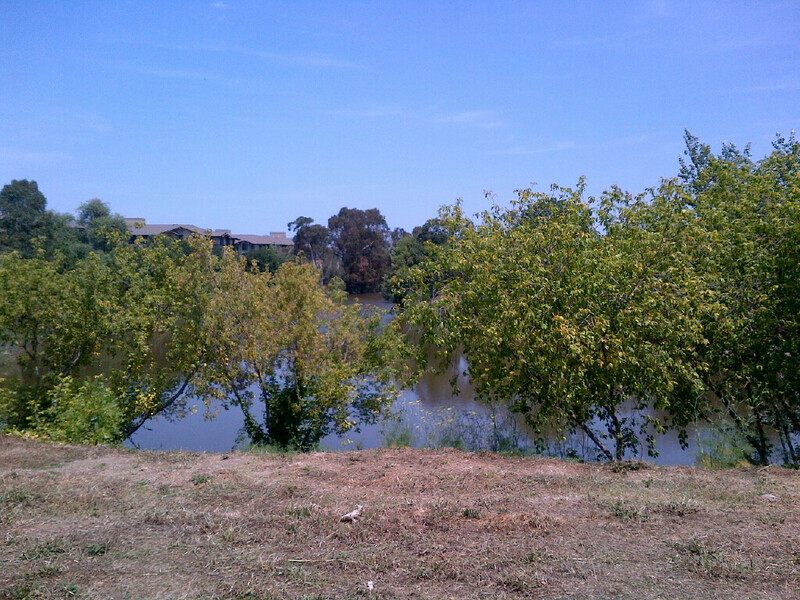 I could see taking a picnic lunch and spending an entire day here under more tolerable weather conditions. 1) Altamura Cabernet Sauvignon Napa Valley 2009, 94 Points, $85- Classic aromas of cassis, with elements of loam, cedar and cocoa. This caresses the palate with its velvety vody and rich, juicy blackberry and dark plum notes, giving way to complex undertones of chocolate, leather and cedary spice. Long finish, with seamless fruit, exotic spice and mineral lingering over its depth. 2) Hall Cabernet Sauvignon St. Helena Bergfeld Napa Valley 2010, 94 Points, $110- What an aroma, giving off smoked meat, fresh cedar and cocoa notes above the black currant fruit. The texture here is remarkable, with a polished, pure mouthfeel of blackberry, black plum and raisin, evolving into blasting layers of cedar spice, cigar box and chocolate. Finish lingers for a solid minute. 3) St. Clement Oroppas Napa Valley 2009, 93 Points, $55- Aromas of black cherry, cigar box and cocoa powder. This is extradordinarily silky and soft on the palate even for this wine, with thick, plush black cherry cola, blackberry and rich cassis flavors that evolve into layers of cocoa, tobacco and cedar spice that carry long with refined tannins, with a creamy mocha chocolate note lingering longest of all. Seems a bit darker, more dense, leathery, muscular, concentrated and powerful than usual without sacrificing elegance, a very nice effort. Tasted twice with remarkably consistent notes. 4) John Anthony Cabernet Sauvignon Napa Valley 2010, 93 Points, $65- Rich and perfumey on the nose, with blackberry and black cherry cola aromas that offer a touch of mocha. There’s a strong mocha chocolate streak on the initial mouthfeel, while the fruit again sits behind. Black plum, chocolate covered cherries and juicy blackberry pick up an edge of herbal, earthy barnyard through the long, polished finish. Chocolatey spcie lingers long with a toasty oak tinge and an amazing texture. This feels even darker than the Oak Knoll single vineyard. 5) Cade Cabernet Sauvignon Howell Mountain Napa Valley 2009, 93 Points, $80- Subtle chocolate notes on the nose, with black plum, cedar spice and a toasty vanilla note adding intrigue. Very elegant and balanced, with bright plum, dark raspberry and cherry fruit that pick up complex undertones of chocolate and orange peel spice through a long finish, all held together by silky tannins. The finish lingers for minutes with concentrated red fruit flavors and expressive spiciness. 6) Laird Jillian’s Blend Napa Valley 2009, 92 Points, $42- Deep, perfumey black fruit aromas with hints of smokey tobacco. Vastly different from the 2010, with a silky body of purple of purple and black fruit notes, featuring plum, licorice and blackberry. The finish shows chocolate and tobacco spice notes that linger long. 7) Pride Cabernet Sauvignon Napa-Sonoma Counties 2010, 92 Points, $68- Deep and perfumey cassis aromas. Elegantly soft on the palate considering its depth, as dark plum, blackberry and black cherry gain complexity and traction from the forest floor and oak notes, held together with refined tannins and a backbone of dark chocolate spice. A dark, well-balanced Cab. 8) St. Clement Cabernet Sauvignon Armstrong Ranch Napa Valley 2009, 92 Points, $80- Ripe black fruits on the nose, with clove, black coffee and tea elements. Fleshy body of perfumey blackberry, black cherry and violet that lead into bitter chocolate flavors that linger long. Needs time to soften its tannins, but this is very big and rich, and easily the most intense wine I tasted here. 9) John Anthony Cabernet Sauvignon Oak Knoll Napa Valley 2010, 92 Points, $85- Aromas of cassis, black olive and chocolate. Soft and silky, with deep, beefy, leathery and cedary earth hitting the palate first and evolving into dark plum and blackberry underneath and toasty oak elements creeping in. Really like the texture here, and how dark and earthy it comes across without ever losing elegance. 10) Hall Cabernet Sauvignon Jack’s Masterpiece Napa Valley 2010, 92 Points, $110- Deep and elegant aromas of cassis and eucalyptus. Elegant body with dark fruit flavors of blackberry and plum, laced with rich cocoa and cedary spice notes. Chocolate lingers through the long, yummy finish. 11) Hall Cabernet Sauvignon T-Bar T Ranch Alexander Valley 2009, 91 Points, $50- Dark, rich black fruit aromas. Velvety and seamless, packed with blackberry, plum and licorice fruit above a smokey, cured meat nuance and an even thicker, chewier charcoal note as it evolves. A big wine that needs time to soften, but impresses with its muscular, masculine character. 12) St. Clement Cabernet Sauvignon Oroppas Napa Valley 2010, 91 Points, $55- Atypically pronounced earthy character, with forest floor, tobacco leaf and leather above the typical black cherry flavors. Tightly wound and driven by its tobacco and sage character that dominate the fleshy red fruit body. Firm tannins carry through the finish, which lingers with cigar box and herbs. 13) Ram’s Gate Cabernet Sauvignon Winemaker’s Cuvee Sonoma County 2009, 91 Points, $64- Big, dark and burly aromas of mocha, cedar and cassis. Rich and full-bodied, with thick cocoa and underbrush flavors above dark plum and blackberry fruit notes. A masculine style, with powdery chocolate lingering long with a tannic grip. 14) Kamen Cabernet Sauvignon Sonoma Valley 2009, 91 Points, $80- Classic profile of cassis, cedar and cocoa powder on the nose. Silky body of mocha and chocolate dominate the flavor profile, but there’s plenty of understated dark berry and black cherry flavor that finishes with refined tannins and an herbal spice note. 15) John Anthony Cabernet Sauvignon Crane Vineyard Napa Valley 2007, 91 Points, $80- Smells like a Bordeaux, with well-water mineral above the blackberry and cherry fruit aromas, hints of toasty oak and cola. Extremely elegant, with toasty oak and juicy cassis flavors that are softened and refined, with a dry tobacco leaf finish. Long length, but not quite as in-your-face as the other two. 16) Plumpjack Cabernet Sauvignon Estate Napa Valley 2010, 91 Points, $98- Toasty black cherry, blackberry and vanilla bean aromas, with an exotic allspice nuance. Plush and juicy on the front of the palate with its bright red currant fruit notes, leading into a dry, spicy finish of vanilla and white pepper spice. Needs time to realize its full potential, as this is far less polished than the Merlot of the same vintage. 17) Laird Jillian’s Blend Napa Valley 2010, 90 Points, $42- Lifted black cherry, red currant fruit and cigar box aromas. Elegant and juicy on the palate, with firm tannins pulling together the cherry and dried berry flavors that end up overwhelmed by sage, briar, tobacco and olive earth notes. Herbal spice and tobacco lingers with a lovely persistence. A cool wine, with some minty spice and chocolate creeping in late. 18) Cakebread Cabernet Sauvignon Napa Valley 2010, 90 Points, $60- Big loamy nose with black fruit and dark chocolate aromas. Dark and burly, with blackberry and fig notes on the back of the palate, serving up baking spice, dark chocolate and forest floor notes. Tannins are silky and refined, adding elegance to this big wine. 19) Girard Artistry Napa Valley 2010, 89 Points, $45- Rich and plummy, with elegant blackberry, dark plum and jammy raspberry notes above hints of oak and chocolate. Long, refined finish. 20) Pine Ridge Cabernet Sauvignon Cave 7 Napa Valley 2010, 89 Points, $65- Elegant and perfumey, with a silky body of blackberry, black cherry above undertones of milk chocolate and cedar spice. Medium length. 1) Seghesio Zinfandel Cortina Dry Creek Valley 2010, 93 Points, $38- Aromas of black licorice, black plum and complex cinnamon/ baking spice notes. Super-silky and balanced, with juicy baked plum, cherry and licorice leading into exotic spices underneath, ending with refined tannins and a superlong finish. The most impressive textural offering from this selection possibly ever. 2) Robert Biale Zinfandel Rocky Ridge Rockpile 2011, 92 Points, $50- Big blue fruit aromas of plum and blueberry. Rich and acidic, with an elegant, polished body of dark plum, blueberry and juicy blackberry above notes of chocolate. Feels weightless on the palate but delivers big, deep, powerful flavors. A seamless wine with a long finish. 3) Seghesio Zinfandel Home Ranch Alexander Valley 2011, 92 Points, $58- Big, rich aromas of mocha, black tea and black currant fruit. A monster as usual, with a polished profile of black plum, blackberry, chocolate and earthy spice, lingering long with notes of graphite, iron and leather. Impressive for its combination of depth and softness on the palate at this young age. 4) Kunde Zinfandel Sonoma County 2010, 91 Points, $22- Cracked pepper and red berry fruit on the nose. Vivid, lively body of crushed raspberry and black cherry with a racy underbelly of cracked black pepper and tobacco spice and rich chocolate notes creeping in late. Chewy tannins linger on the impressive finish. 5) Seghesio Zinfandel Sonoma County 2011, 91 Points, $24- Silky and ripe, with blackberry, wild berry and blueberry fruit flavors that are juicy and spicy, with white pepper and mineral notes carrying through the long finish. Great with grilled meat and well done in an off year. 6) Dashe Zinfandel Louvau Old Vine Dry Creek Valley 2009, 91 Points, $32- Aromatic and violety, with complex cigar box and white pepper spice above the juicy dark berry fruit notes. Exciting on the palate, with vibrant dark raspberry and black cherry above spicy pepper, tobacco and chocolate notes. Soft, silky and complex. 7) Robert Biale Zinfandel Black Chicken Napa Valley 2011, 91 Points, $42- Big, juicy, peppery aromas with raspberry pie notes. Bright acidity with spicy, mouthcoating notes of bing cherry, wild raspberry and cracked black pepper that linger long with firm tannins adding grip. Very strong aftertaste of cracked pepper adds complexity and balance to the bright red fruit. Racy and vivid. 8) Dry Creek Vineyard Zinfandel Heritage Sonoma County 2010, 90 Points, $19- Fruity aromas of raspberry. This is a very juicy and fruit-forward offering, yet shows no tartness over its silky body. Instead, black cherry, red plum and raspberry pick up notes of sweet spice and a hint of sarsparilla underneath. Impressive for its silkiness and length at this price point. 9) Haywood Zinfandel Rocky Terrace Sonoma Valley 2008, 90 Points, $35- Deep, ripe blackberry jam aromas. Lovely mouthfeel that bursts with juicy blackberry, black licorice and baked plum, finishing with baking spice that lingers much longer than the rest of this catalog of wines. Subtle chocolate notes battle off the dry tannins through the finish. 10) Robert Biale Zinfandel R.W. Moore Napa Valley 2011, 90 Points, $50- Floral, perfumey aromas with strawberry and raspberry fruit. Soft on the palate with its violet and lavender essence which leads into soft dried berry, cherry and strawberry fruit, finishing with a dash of vanilla bean spice. Elegant and soft, a huge contrast to the Black Chicken style. 11) Seghesio San Lorenzo Alexander Valley 2010, 90 Points, $60- A bit closed off on the nose, but dark fruit flavors and floral elements show. Juicy dark fruit notes of blackberry and black cherry are complemented by floral perfume notes and hints of chocolate. Long finish, with big tannins. 12) Dashe Zinfandel Dry Creek Valley 2011, 89 Points $22- Dark, rich blackberry, raspberry and licorice flavors are wrapped up in briary spice and dill notes that pick up chocolate and spice as they linger with a dry tannic grip. 13) Dashe Zinfandel Florence Vineyard Dry Creek Valley 2010, 89 Points, $35- Juicy red and black plum fruits on the nose. Jammy body of raspberry preserves, black cherry and a hint of clovey spice. A more fruit-forward style, crying for food. 14) Adobe Road Zinfandel Dry Creek Valley 2008, 89 Points, $35- Aromas of candied plum, fig and hot, ripe red fruits. Soft on the palate, with juicy plum, blueberry and floral potpurri nuances settling into a gentle, streamlined finish. Hints of caramel add intrigue this lingers with a peppery finish. 15) JC Cellars Zinfandel Dusi Vineyard Paso Robles 2011, 89 Points, $35- Juicy baked plum and blueberry pie aromas with cracked pepper nuances. Balanced between its ripe, violety plum, cherry and blueberry fruit that shows a strong streak of black pepper throughout. JC Cellars Zinfandel Dusi Vineyard Paso Robles 2010, 89 Points, $35- A leathery style, with cracked pepper, smoke above lush blackberry and black cherry fruit, but those play second fiddle to the strong earth notes. Long finish. 1) Plumpjack Syrah Napa Valley 2011, 92 Points, $48- Huge, aggressive smoke aromas with elements of bacon fat and espresso. Silky and balanced, with understated plum and cherry fruit that quickly give way to tons of creamy café mocha, smoked, fatty meat, and peppery spice. This is exactly my type of Syrah, with leather, smoke and game notes lingering long through a full finish that has already softened up nicely considering its youth. 2) Ram’s Gate Syrah Durrell Vineyard Sonoma Coast 2010, 92 Points, $52- Campfire aromas of smoked meat and leathery earth. A smooth, velvety body, with wet stone, fresh leather and smoke above black licorice and black plum, finishing with black pepper spice. Long, smooth, spicy finish. 3) Kamen Syrah Sonoma Valley 2010, 92 Points, $70- This is all smoke on the nose, with some dried berry aromas trying to break through. Velvety and deep, with smoked meat and game notes above a mesquite campfire note, red plum and cherry fruit. Finishes powerfully with a blast of tar and mineral, very complex and long. A very nice Syrah in the rustic Northern Rhone style. 4) JC Cellars Syrah Musci Alexander Valley 2010, 91 Points, $35- Wet mineral, leather and jammy black fruits on the nose. Rich and plummy, with a velvety black fruit body laced with earthy smoke, tar and leather notes. Chewy tannins add grip, but cut off the finish just a bit. 5) JC Cellars Syrah Haley Vineyard Rockpile 2008, 91 Points, $60- Huge nose of bacon fat and crushed berry fruit. Rich and smokey throughout, with crushed blackberry and blueberry fruit that is a touch chewy but features complex undertones of fatty ham and bacon. 6) JC Cellars The Fallen Angel Russian River Valley 2010, 90 Points, $45- Lush aromas of rich blackberry, cherry and underbrush. 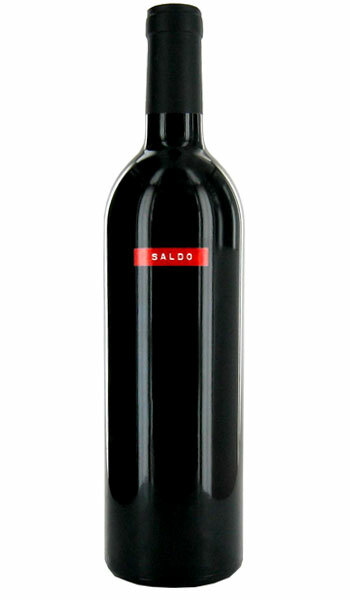 Velvety, rich body of blackberry and black cherry fruit, with firm elements of sage, briar and black pepper underneath. Long, balanced finish. 7) Robert Biale Like Father Like Son Napa Valley 2010, 90 Points, $46- Rich, inky, raisiny aromas. Velvety texture with big, rich, bold dark plum and blackberry flavors that are soft on the palate, giving way to subtle tar and mineral notes, but the fruit really shines here through the long finish. Shows gritty tannins that add some dryness but don’t overpower the wine. 8) Kamen Writer’s Block Proprietary Blend Sonoma Valley 2010, 90 Points, $58- Leathery, with wet stone and black cherry aromas. Very impressive texture, with a hint of smoked meat grabbing the chewy, slightly inky black cherry and blackberry fruit flavors. The chewiness continues through the finish as dry tannins from the Petite Sirah make their presence known, but this is nicely balanced. 9) JC Cellars The Impostor California 2011, 89 Points, $35- Jammy, heavily perfumed blackberry and blueberry aromas. Medium-bodied with a cracked pepper note weaving through the dark plum, blackberry and peppery spice notes, finishing with a hint of chalk. Juicy and great with food, if a bit less exotic overall than prior vintages. 10) Cakebread Rubaiyat North Coast 2011, 88 Points, $33- Very chocolatey and leathery on the nose, with red currant aromas. A savory blend, with sage, herbs and underbrush above the black cherry and blackberry that give way to complex smoke and oak notes through the long finish. 1) Plumpjack Merlot Napa Valley 2010, 92 Points, $52- A warm, inviting aroma of toasty red currant along with a tempting chocolate nuance and hints of cinnamon apple. Could spend some serious time simply appreciating the boquet. Remarkably silky on the palate, with vivid baked plum and cherry pie flavors layered above dark chocolate and cedary forest floor spice. Lots going on here, and the lush texture and finish separates it from its peers for the 2010 vintage. 2) Pride Merlot Napa-Sonoma Counties 2010, 91 Points, $58- Elegant nose of perfumey black cherry and blackberry, with light oak and cedar undertones. Silky on the palate, with juicy black fruit flavors, hints of cocoa powder and forest floor spice, finishing with a blast of mineral. A very full and rich expression, with firm tannins adding grip. Thick, with a pungent earthiness lingering that is unique to the Spring Mountain terroir. 3) Hawkes Merlot Alexander Valley 2008, 90 Points, $35- Ripe with its black cherry and red plum aromas, with notes of sweet baking spice on the nose. Silky body, with complex clove, briar and forest floor notes dominating the red currant fruit flavors with some smoked meat nuances underneath. Lingers long with cedary spice, and exciting example of a Merlot from this region. 4) Pine Ridge Merlot Carneros 2009, 88 Points, $45- Perfumey, jammy aromas of baked red fruit and nutmeg spice. Silky body with plum and wild berry fruit above violety perfume nuances that carry into a polished finish. Baking spice lingers with plum pie nuances. 5) Pine Ridge Tessitura Napa Valley 2010, 88 Points, $60- Bright red fruit and mint aromas. Remarkably soft on the palate, with blackberry, blueberry and mocha flavors that gain a complex herbal edge through the polished finish. Medium length, lingering with a cedary tobacco leaf edge. 1) JC Cellars Petite Sirah Landy Sweetwater Springs Vineyard Russian River Valley 2010, 93 Points, $35- Dark as midnight, with black fruit, mocha and smoky leather aromas. Seamless on the palate with rich, syrupy, full-bodied blackberry, dark plum, black licorice and violety purple fruits that carry into spicy tobacco, cafe mocha and leather notes. This is very impressive for its texture and overall lack of chewiness for such a huge, dark wine, finishing with a tarry mineral bite and lingering long with distinctive spiciness and campfire smoke. 2) Seghesio Petite Sirah Il Cinghiale Alexander Valley 2009, 93 Points, $38- Huge, inky aromas, with black plum and mocha spice notes. Thick, powerful body of black fruit, but this doesn’t come off as raisiny at all, as chewy leather and chocolate notes dominate, with elements of tobacco and cigar box lingering on a smoky note. Impressive texture for a monster like this, showing a long, intense finish. 3) Robert Biale Petite Sirah EBA Napa Valley 2007, 93 Points, $75- Charred oak and black fruit aromas. Incredible texture as floral black plum, licorice and crushed blackberry mingle effortlessly with cocoa, French oak and forest floor/ tobacco spice. Lingers with a chewy grapeskin note that carries long after. A big thick wine that has softened its edges with the extra barrel age. 4) Robert Biale Petite Sirah Thomann Station Napa Valley 2009, 92 Points, $50- Enormous raisin and plum aromas. Seamless on the palate with its dark, rich, chewy black fruit notes. Black tea, leather, tar and cedar spice notes linger behind, picking up a note of black licorice that pumps through the long, chewy but refined finish. 5) Adobe Road Petite Sirah Knights Valley 2007, 89 Points, $40- Inky, raisiny and plummy, with baking spices mingling with licorice and tar notes throughout this thick offering. This is chewy indeed, but the intense black fruit keeps pumping to overcome the gripping tannic edge. 1) Ram’s Gate Pinot Noir Sonoma Valley 2011, 91 Points, $40- Strong tobacco aromas with perfumey, spicy red berry fruit notes. There’s a distinctive wild note here, with vivid plum, black cherry and raspberry backed by black tea, herbs, tobacco leaf and white pepper spice through the long finish. Exotic and exciting. 2) Walt Pinot Noir The Corners Napa Valley 2011, 91 Points, $60- Lovely and exotic, with smokey plum and game aromas. Complex, with floral lavender caressing plum and blueberry fruit that evolve into smoked game and white pepper all over a delicate texture that bursts with juicy acidity throughout. Long finish. 3) Fort Ross Pinot Noir Sonoma Coast 2009, 90 Points, $48- Savory earth aromas with notes of violety blue fruits. Soft, velvety texture, with juicy blueberry, blackberry and black cherry, finishing with white pepper and tobacco spice. This shows subdued acidity and a long elegant finish. A unique expression of this terroir. 4) Ram’s Gate Pinot Noir Bush Caipo Vineyard Russian River Valley 2011, 90 Points, $50- Evergreen earth above cherry and licorice aromas. Bright and acidic fruit up front, with cherry and red licorice flavors that evolve into darker notes of cocoa, tobacco and cedar spice, lingering with firm tannins. A bright, fruity wine that turns darker through the finish over silky tannins. 5) Fort Ross Pinot Noir Symposium Sonoma Coast 2010, 89 Points, $42- Lots of cherry and black plum on the nose. Full-bodied and ripe, with bright fruit that deepens up into notes of spice and earth through the medium length. 1) Altamura Sangiovese Napa Valley 2008, 92 Points, $48- Hugely aromatic, with perfumey balck fruit, earthy petrol and loam. Silky on the palate, with loamy earth that evolves into complex layers of juicy cherry, rich blackberry and an underbelly of mineral, dark chocolate. Finishes with a blast of graphite and iron, and the texture is just spectacular. As well done as Sangiovese as I’ve ever tasted from this region. 2) Altamura Negroamano Napa Valley 2007, 90 Points, $48- Inky, raisiny nose, with white pepper spice and mineral aromas. Violety, refined body with crushed blackberry and dark plum notes that finish with elements of charcoal, asphalt and smoke. Medium length. 3) Seghesio Defiant Alexander Valley 2009, 89 Points, $48- Rich, loamy aromas. Thick body with soily earth and leather notes engulfing black plum and blackberry fruit notes. An impressive earthy offering, although tannins create a bit of dryness through the finish. Aglianico, Syrah, Petit Verdot and Cabernet. 4) Seghesio Carignane Old Vine Dry Creek Valley 2011, 88 Points, $32- Floral, perfumey and ripe aromas of wild berry fruit. Soft and silky on the palate, as notes of violet precede fruit-forward raspberry and blueberry flavors and finish with a toasty almond undertone. Softened tannins combine with juicy acidity to extend the nutty finish. 5) Seghesio Barbera Alexander Valley 2011, 88 Points, $38- Very floral and perfumey, with lavender and potpourri spice notes leading into juicy cassis and black cherry that pick up a smoke note. A great food wine. 1) Sbragia Chardonnay Gamble Ranch Napa Valley 2009, 91 Points, $40- Very present oak aromas, but there’s also appealing notes of orange and nectarine. Creamy and butterscotchy on the palate, with juicy initial citrus flavors of orange peel and lemon that lead into an underbelly blast of vanilla bean and nutmeg spice. Creamy but not overpowering with its richness, this lingers on a very spicy note through the long finish, with vanilla and creme brulee lingering. 2) Plumpjack Chardonnay Reserve Napa Valley 2012, 91 Points, $48- Light-bodied, with aromas of juicy green apple and pear skin. Clean and crisp, with creamy fig and green apple citrus above a well-intertwined underbelly of vanilla bean spice, but there is no heavy oak evident here. Rich without being heavy or oaky, ending with a creamy, spicy, refreshing finish. Very seamless and impressive. 3) Laird Chardonnay Red Hen Ranch Napa Valley 2010, 90 Points, $30- Bright and fresh, with clean, crisp pear and golden apple fruit notes that pick up and extra edge of citrusy peach and tangerine. Oak notes are intertwined subtly, and this finishes with sweet spice notes. 4) Adobe Road Chardonnay Bacigalupi Vineyard Russian River Valley 2009, 90 Points, $39- A balanced and impressive white wine, with rich golden apple, pear, honeydew melon and peach flavors running straight through, gaining a creamy texture and undertones of hazelnut spice and crème brulee. 5) Cakebread Chardonnay Reserve Carneros 2010, 90 Points, $55- Toasty aromas of golden apple and pear, wintery nutmeg and cinnamon spice. Creamy body with clean wet slate minerality permeating the balanced citrus notes, finishing with a blast of crème brulee. Rich throughout, with impressive balance. 6) Laird Chardonnay Cold Creek Ranch Carneros 2009, 89 Points, $30- Buttery on the nose, with toasty pear and golden apple fruit. Creamy, rich body, with juicy apple, spiced pear and hazelnut spice. Lingers long and effortlessly, with a minerally bite. 7) Cakebread Chardonnay Napa Valley 2011, 89 Points, $36- Aromas of vanilla bean and green apple. Clean body with fresh green apple and guava that turn creamy at the back of the palate, with rich vanilla and sweet spice lingering long. 8) Cakebread Chardonnay Cuttings Wharf Napa Valley Carneros 2011, 89 Points, $38- Rich and balanced, with golden apple, pear and tropical melon citrus above very nicely intertwined oak and spice. Very seamless, with a long finish of nutty oak, with just a hint of stony minerality. 9) Hawkes Chardonnay Home Alexander Valley 2012, 88 Points, $20- Clean nose of buttery pear and golden apple fruit. A pure style driven by its tropical citrus and stone fruit notes, finishing with subtle oak and well-intertwined mineral. Lingers with refreshing acidity. 10) Adobe Road Chardonnay Sonoma Valley 2008, 87, $35- A rich style, with honey and golden apple aromas over the deep golden hued body. Creamy and juicy, with golden citrus leading quickly into vanilla, butterscotch and nutmeg spice. Refreshing for its richness. 1) Pride Viognier Sonoma County 2012, 90 Points, $40- Rich golden-hued body, with floral aromas of stone fruit and honey. Creamy on the palate, with lively citrus flavors of peach, apricot and pear that give way to spicy honeysuckle through the long, balanced finish, which picks up a light edge of minerality as it lingers. 2) Altamura Sauvignon Blanc Napa Valley 2009, 90 Points, $48- Rich and golden-bodied, with funky petrol aromas. Rich, creamy and sweet, with layers of honey above apricot, peach, white pepper spice and earthy mineral. More like a Viognier than a Sav Blanc, showing little to no grass or green earth. All rich fruit and spice, which linger long with finesse. 3) Cakebread Sauvignon Blanc Napa Valley 2012, 88 Points, $24- Clean, tropical fruit aromas of pineapple, melon, lime and very subtle grassiness. A balanced, creamy body of grapefruit, lime and tropical melon, with vibrant acidity pumping. This is very refreshing and balanced, a great expression of the fruit-forward Napa style of this varietal. 4) JC Cellars Marsanne Stagecoach Napa Valley 2008, 88 Points, $38- Floral and citrusy on the nose, with orange blossom and peach aromas. Very refreshing and acidic, with an oily texture and notes of honey and almond above the stone fruit notes, finishing with a minerally grip. 5) Kamen Sauvignon Blanc Sonoma Valley 2012, 88 Points, $45- Tropical aromas of white peach and lime citrus. Clean and racy, with a balanced body of tropical and stone fruits, undertones of wet mineral and grass. Very refreshing through the medium length. Doubling back to capture the first two months of the summer, I’ve decided to feature a white and a red wine. As the warm weather came upon us in June, it seemed appropriate to look towards a refreshing, acidic white wine. I look towards the sunny nation of Greece, which in my opinion is making some of the most exciting and expressive white varietals in the world right now, and at highly competitive price points. The wine I have chosen was actually a Wine Spectator Top 100 Wine last year and may be difficult to locate, but considering the progress I’ve seen over the last few years, I wouldn’t be hesitant or shy away from a more recent vintage from the same producer. For July, in an attempt to be patriotic I always try to feature a Zinfandel from California, which fits well both because of Independence Day and the fact that there isn’t a better wine on Earth for grilled meat, and cookouts are surely a frequent activity this time of year. While genetically equivalent to the Primitivo grape of Italy and traced from an origin in Croatia, Zinfandel is truly the one unique American grape- it is the only grape that you will not find listed as a varietal on a bottle in any other country, as you can’t say that about Cabernet Sauvignon, Syrah, Merlot, Pinot Noir, Grenache, Malbec or any of a multitude of more obscure grapes. 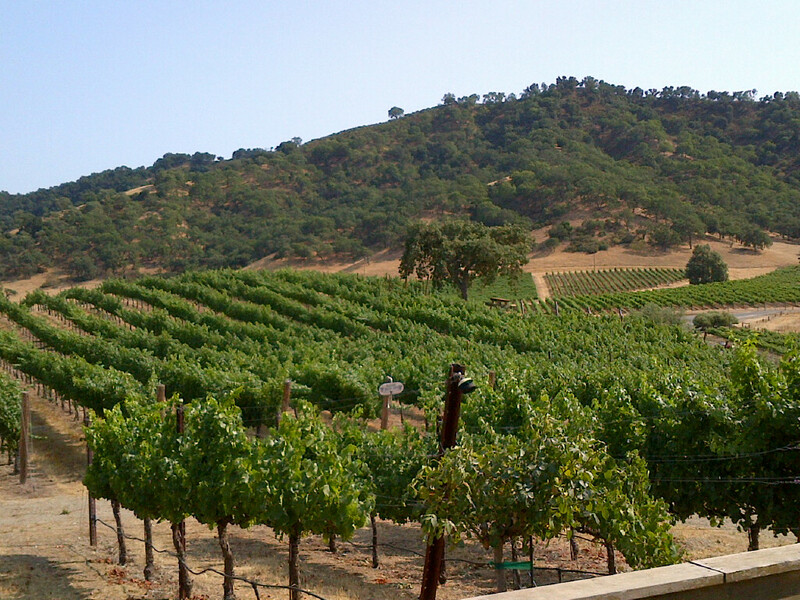 Now is as good a time as ever to appreciate this juicy, fruit-forward and often complex wine, as the 2008 and 2009 vintages in California were the best ever for this varietal, and the best producers made wines on par with those in 2010 and 2011. Zinfandel is truly the American grape, and I’ll have much more information posted in a few weeks as I recap my recent 10 day trip to Napa Valley and Sonoma, in which I tasted over 100 new wines. I hope you enjoy my recommendations, and the rest of your summer. SKOURAS MOSCOFILERO PELOPONNESE 2011, 90 Points, $15, 5000 Cases Made- Shows a huge nose, like a Viognier, with honey, apricot, peach and a strong floral component of orange blossom. There’s a wet stone mineral quality that runs above the peach and grapefruit flavors, finishing with a refreshing acidity and lingering long. ORIN SWIFT ZINFANDEL SALDO CALIFORNIA 2011, 91 Points, $28, 10,000 Cases Made- Creamy and loaded with cracked pepper notes, this smacks the palate with blueberry and wild raspberry before picking up vanilla bean and spice notes, lingering on a hint of roasted mocha through the long, persistent finish.